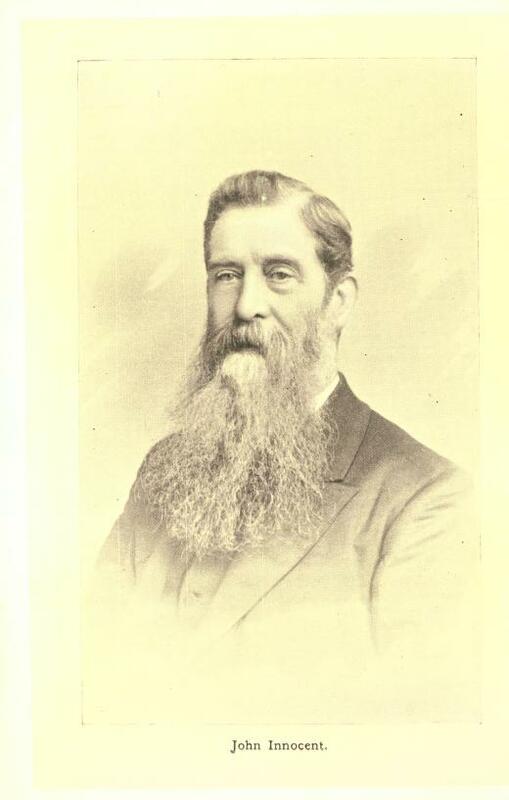 The Reverend John Innocent (1829-1904) was a trail blazing Methodist Missionary to China and friend to General Gordon. Many thanks to Mike Guilfoyle for the following account. Born in 1829 in Sheffield John Innocent was sent to work as a grinder aged 16 years and made up for his lack of formal schooling by attending night school. His conversion to Methodism set him upon a life long committment to the tenets of preaching and celebrating the Christian Gospel through social action. Having been made a Minister of the Methodist New Connexion, (a branch of Wesleyan Methodism) he moved to Jersey, having married Jane in 1856. 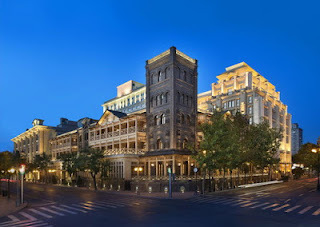 Although Jesuit missionaries had brought Christianity to China in the 16th century, China only opened up to Christian Missionaries following the Second Opium War in 1860, Innocent travelled with W.N Hall to establish the pioneer mission field at Tienstin (now Tianjin) before becoming the Nestor (leader) of the mission whilst 'struggling' to learn the Mandarin Chinese language.. One of his achievements there was to found what is now China's oldest hotel, the Astor Hotel in Tianjin. Shortly thereafter he became acquainted with Captain Charles George Gordon who was serving with British Forces prior to his leading the 'Ever Victorious' Imperial Chinese Army to defeat rebel forces during the Taiping Rebellion. Innocent noted that he had no more generous and sympathetic a friend than the young officer, who later distinguished himself as General 'Chinese' Gordon before finally being beheaded in Khartoum. The missionary expansion suffered many setbacks with periodic anti-Western massacres as at Tienstin in 1870. This event prefigured the major uprising in 1900 against the imperialist ambitions of the Western powers known as the Boxer Rebellion. The widespread outbreak of famine in 1872 meant that efforts at humanitarian relief occupied the work of the mission. The Rev Innocent experienced the sudden deaths of his daughter Annie and son George, through illness, both of whom weere en route to China to undertake missionary work. Returning to England in 1897 with his family he lived for a time in retirement in Nottingham, before moving to Forest Hill. Innocent died on the 27th November 1904 and the funeral service was held at Trinity Church, Forest Hill. He was laid to rest at Brockley & Ladywell Cemeteries on the 1st December and it was stated that 'friends from far and wide followed him to his last resting place. His 40 years of dedicated and heroic missionary work were recognised by many inside Methodism and his biographer G.T Candlin( 1909) commented that " Not many men can be classed with John Innocent, Among Missionaries he shines very much alone'. His red marble grave (with his wife Jane Innocent) lies along the pathway from that of the poet Ernest Dowson in the Brockley section. Not far from the grave of another prominent visitor to China , the British Diplomat Horatio Nelson Lay who died in 1898 in Forest Hill. For those readers interested in the life and work of the Rev Innocent .The splendid online biography of John Innocent, a story of mission work in North China by G.T Candlin published in 1909 is highly recommended.